The Sime Darby Young Innovators Challenge (SDYIC) is set to return this year with more participation of secondary schools from rural areas, providing a platform for students to hone skills that are crucial for the fourth industrial revolution. Enacting tough laws alone is insufficient to curb domestic abuse and violence against women. Instead, men and boys need to be educated to respect and value women as well as their rights. Sime Darby Plantation Berhad (SDP), the world’s largest producer of certified sustainable palm oil (CSPO), today celebrates the successful completion of its ‘Jentar Plant-A-Tree’ project – a biodiversity conservation initiative that includes the largest collection of Endangered, Rare and Threatened (ERT) tree species in a single oil palm plantation area in Malaysia, and possibly South East Asia. 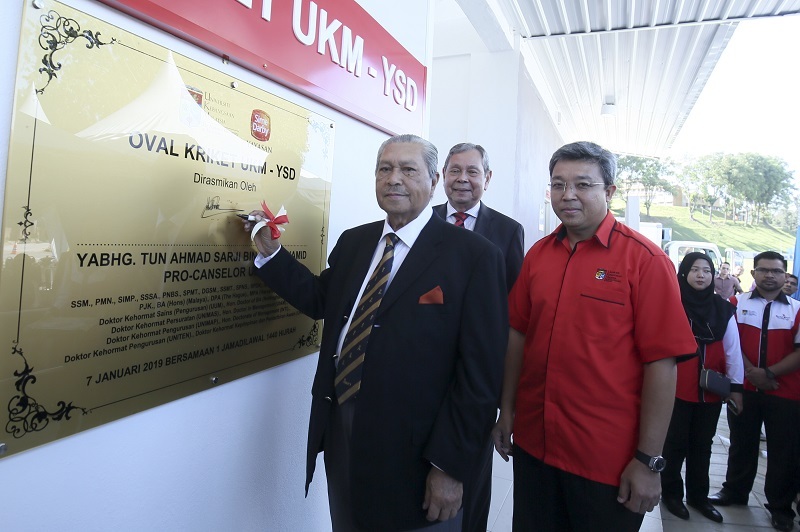 MAJLIS PERASMIAN Oval Kriket UKM-YSD oleh Pro-Canselor Universiti Kebangsaan Malaysia (UKM), TUN AHMAD SARJI ABDUL HAMID telah berlangsung dengan jayanya pada 7 JANUARI 2019 (ISNIN) di Padang Oval UKM-Yayasan Sime Darby (YSD), Kampus Induk, UKM Bangi, Selangor Darul Ehsan. 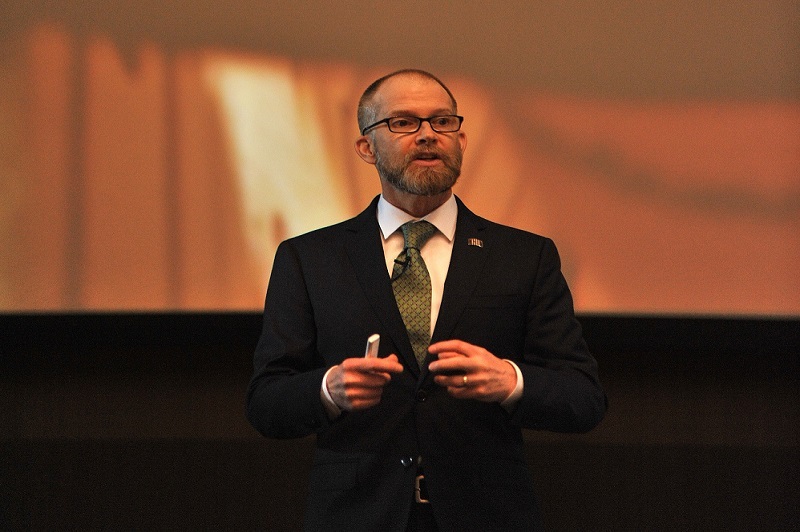 Featuring Ohio University’s Professor John Sabraw, the lecture highlights the use of art to create awareness on environmental issues. 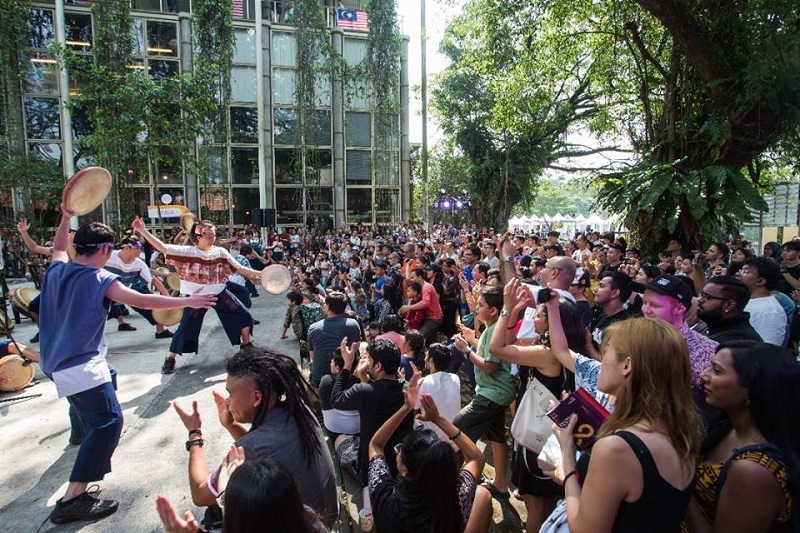 Malaysia’s foremost multi-disciplinary hub of music, dance, theatre, live art and everything in between, brings different communities under one roof at Yayasan Sime Darby Arts Festival 2018: You, Me + The Arts. 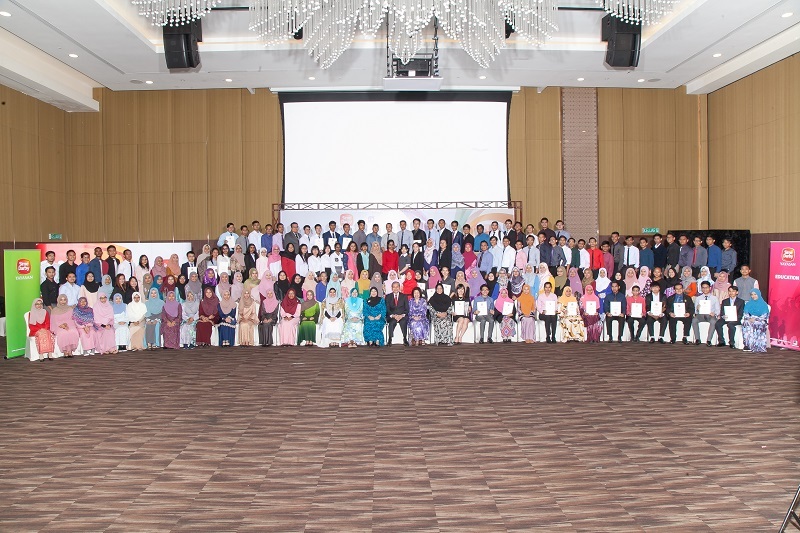 Yayasan Sime Darby (YSD) has awarded RM11 million in scholarships and bursaries to 263 deserving Malaysian students this year, out of which 80% are underprivileged students from families with a monthly household income of RM4,000 and below. 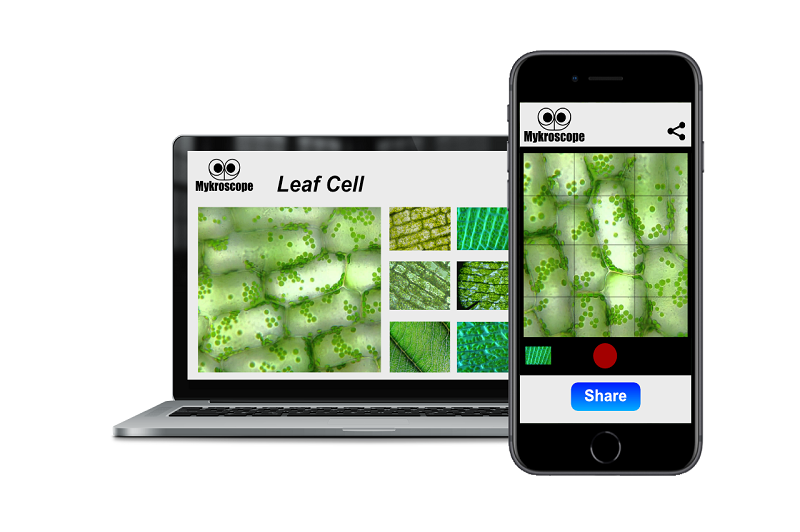 Mykroscope, a portable and affordable microscope that was developed by a trio of teens from Sekolah Agama Menengah (SAM) Jeram during the Sime Darby Young Innovators Challenge 2017 (SDYIC2017), will be distributed to more than 100 schools for free by December 2018. 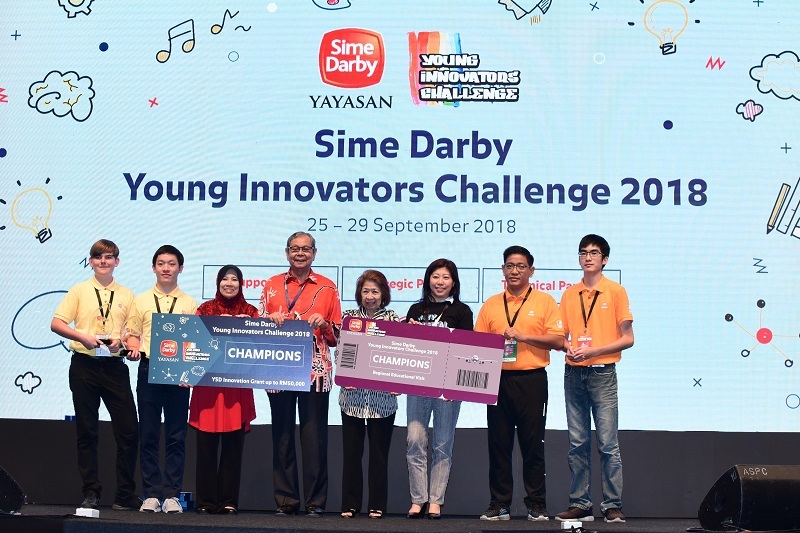 The much anticipated Sime Darby Young Innovators Challenge 2018 (SDYIC 2018) is back for its third edition this year to hone and challenge adolescents’ innovative streak. 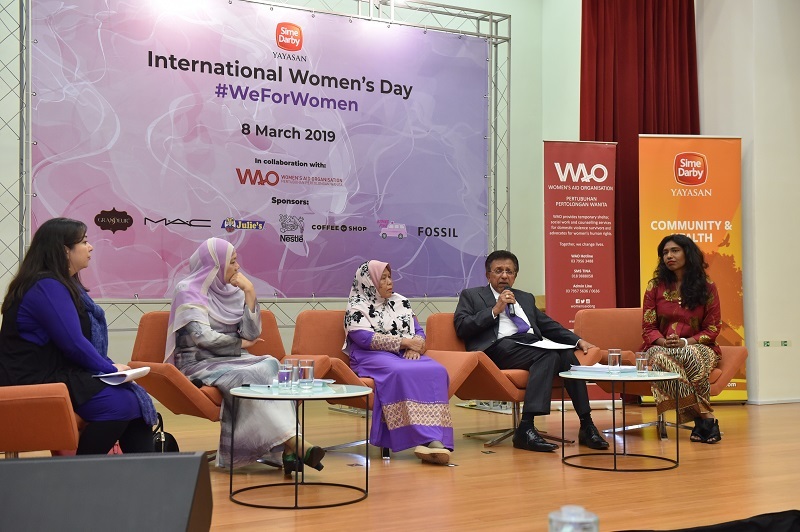 The Women’s Aid Organisation (WAO), with support from Yayasan Sime Darby (YSD), has developed a toolkit that could be used by companies to train employees on appropriate ways to respond to gender-based issues. Assistance offered to victims across four states across Malaysia. The Malaysian AIDS Foundation (MAF) Positive Audacious Living (PAL) Scheme will continue to save the lives of underprivileged people living with HIV (PLHIV) with extended support from Yayasan Sime Darby (YSD). 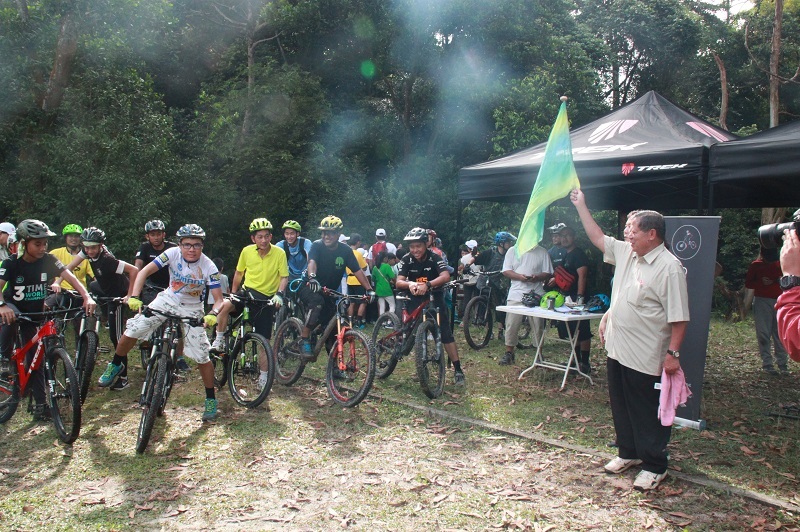 The Salleh trail is established via a collaboration between Persatuan Rimba Komuniti Kota Damansara (KDCF Society) and Yayasan Sime Darby (YSD). 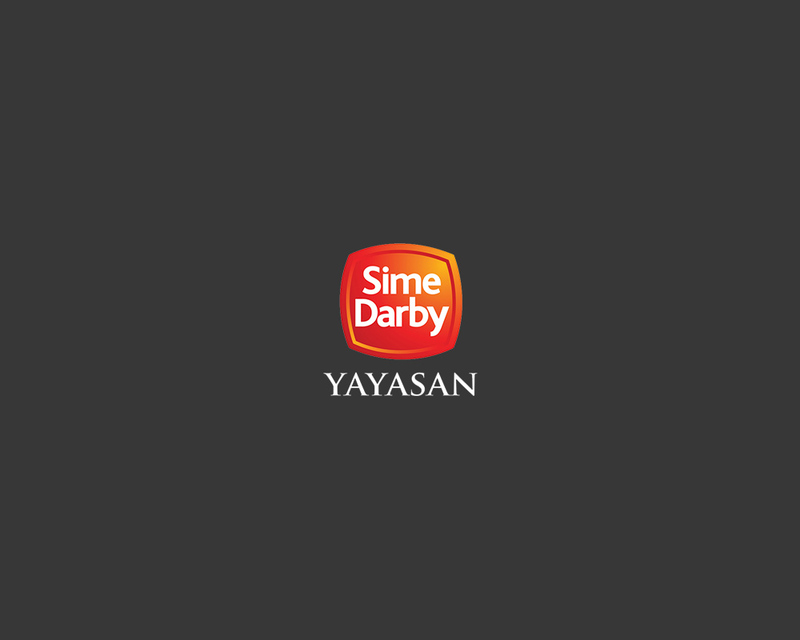 Following its strategy to develop up and coming sports talent in Malaysia, Yayasan Sime Darby will focus on development programmes to hone junior talent in football. Majlis pelancaran program Hear and be Heard: Hearing Loss in Children anjuran Institut Telinga, pendengaran & pertuturan, UKM Tajaan YSD. 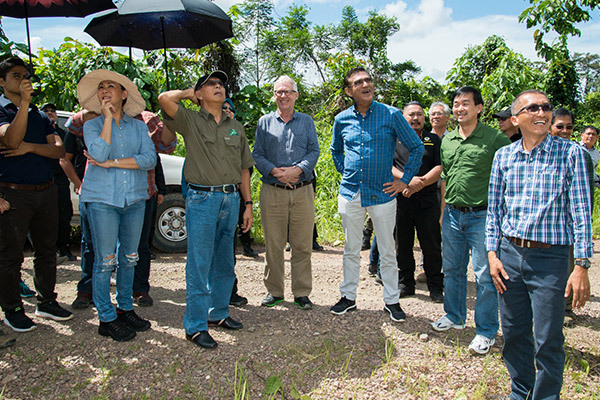 The Sabah government has decided to not proceed with the proposed bridge which was to be constructed in the Lower Kinabatangan area, which had threatened to further fragment the area. 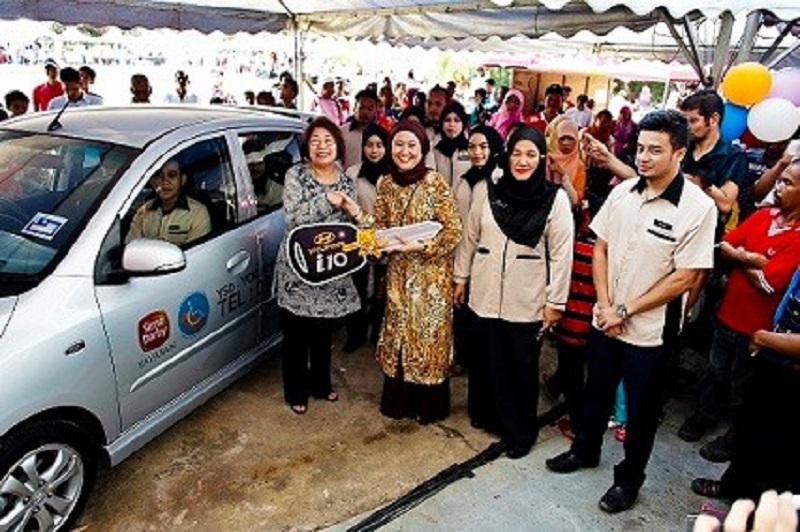 Yayasan Sime Darby (YSD) has extended its support to the Women’s Aid Organisation (WAO) with an additional commitment of RM1.5 million for three years until December 2019. YSD has supported WAO for the past seven years. Facility located at Universiti Kebangsaan Malaysia (UKM) is part of the UKM-YSD Chair for Sustainable Development: Zero Waste Technology for Palm Oil Industry. Twenty three year old Wong Kie Ming selected as first recipient of the YSD Sudirman Scholarship. YSD, in collaboration with The Actors Studio, had offered this scholarship to commemorate 25 years since the passing of Malaysia’s beloved icon Dato’ Sudirman Arshad. 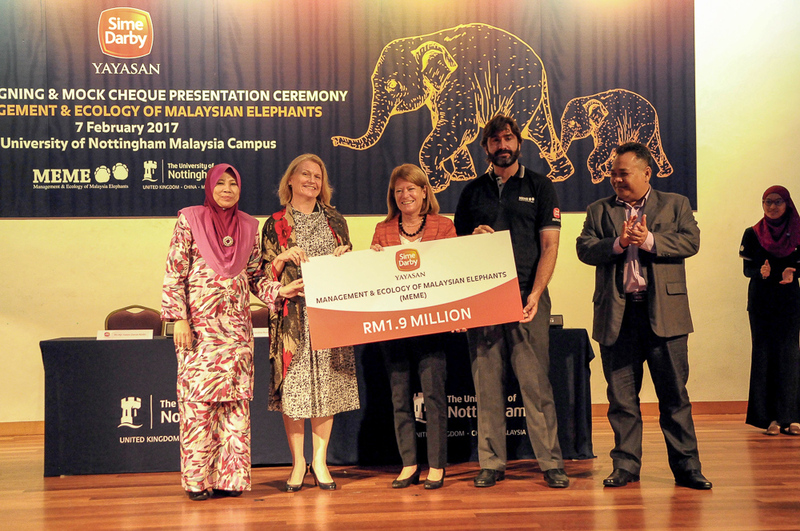 The Foundation commits an additional RM1.9 million towards research on elephant ecology and conservation. This year, YSD distributed supplies to 4,461 students from schools in Sabah, Sarawak, Selangor, Malacca, Negeri Sembilan, Perak, Pahang and Johor in Peninsular Malaysia. In the idyllic Pulau Carey, about 50 Orang Asli students of Sekolah Kebangsaan Sungai Bumbun waited patiently for a new bag filled with shoes, a school uniform, stationery, socks and a pencil case to be handed to them. 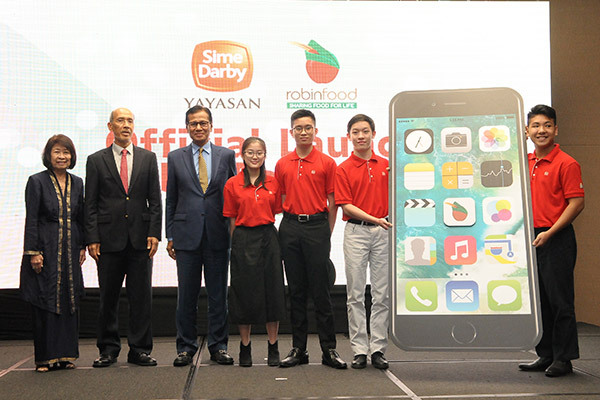 Sime Darby launched the country’s first ever food surplus app - Robin Food - which was the winning idea during the Sime Darby Young Innovators Challenge (SDYIC) 2016 held in June this year. 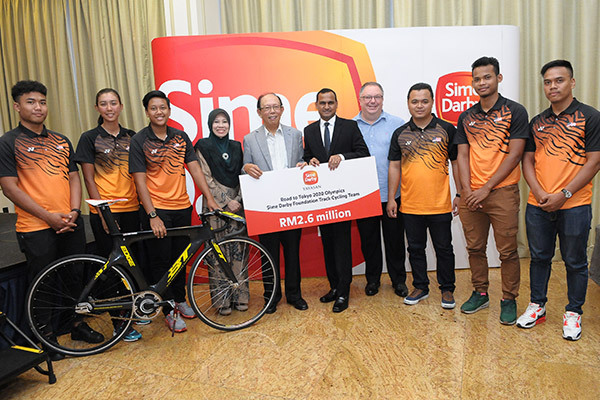 Yayasan Sime Darby (YSD) is extending the funding of the track cycling team, committing RM2.6 million over a period of three years and seven months (February 2017 to August 2020) to sponsor six junior track cyclists to book a spot and compete in the Tokyo 2020 Olympic Games. Sime Darby was bestowed the ASEAN Red Ribbon for Outstanding Workplace (ARROW) Award, in recognition of its non-discriminatory human resource policy and corporate social responsibility (CSR) efforts to improve the quality of life of the people living with HIV in Malaysia. 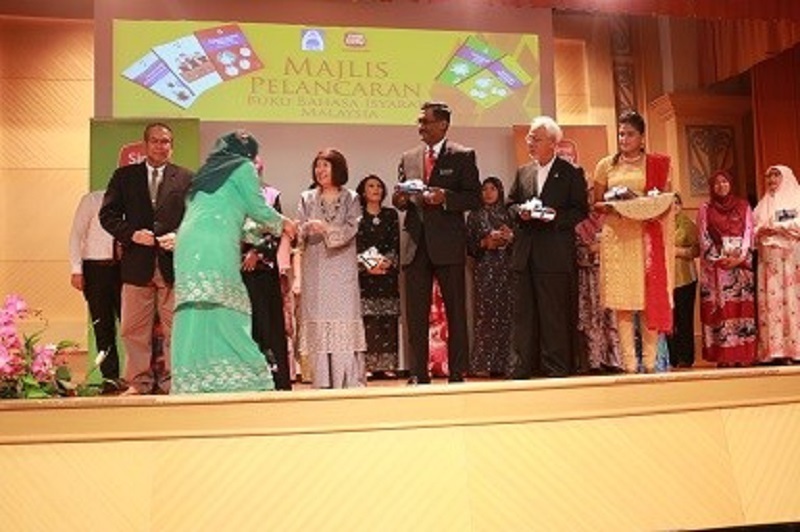 416 deserving underprivileged Malaysians receive scholarships worth RM21.6 million compared to RM9.5 million awarded to 198 students last year. 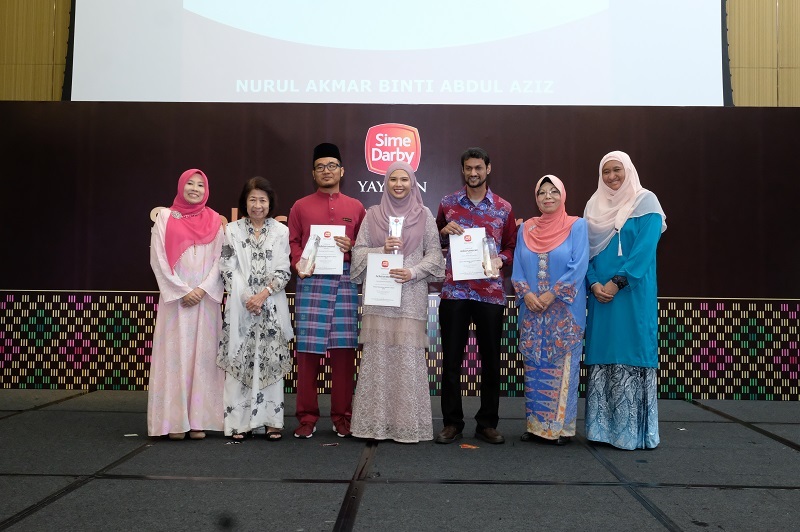 YSD is awarding more than RM21.6 million in scholarships and bursaries to 416 promising Malaysian students from low income families, including those who are physically challenged. The publication of the BIM books and CDs is a collaborative effort between MFD and YSD in recognition of the importance of BIM in the country and the critical gap in the learning growth among the hearing impaired. 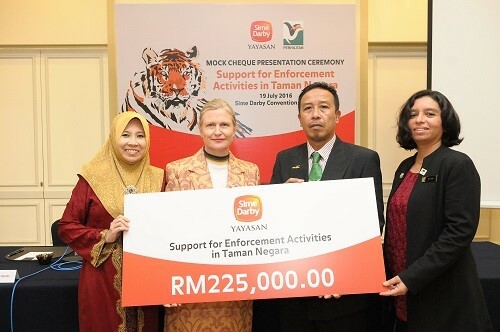 YSD’s latest wildlife conservation project with RM225,000 funding for PERHILITAN’s enforcement activities in Taman Negara. 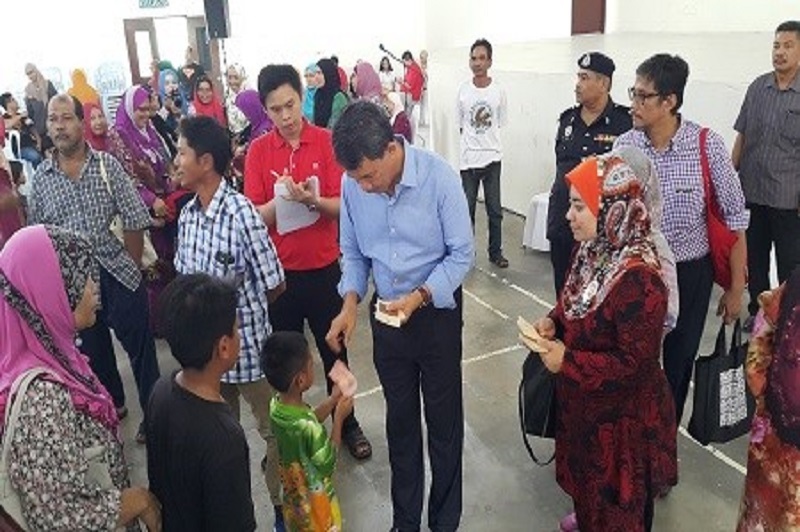 In the spirit of giving during this holy month of Ramadhan, Yayasan Sime Darby (YSD), the philanthropic arm of Sime Darby Berhad once again, through its flagship festive assistance “Sinar Harapan”, brought cheer to the needy and the disadvantaged. The day-long event, participated by its beneficiaries received overwhelming response. Funding includes additional support of RM1.4 million to BSBCC. 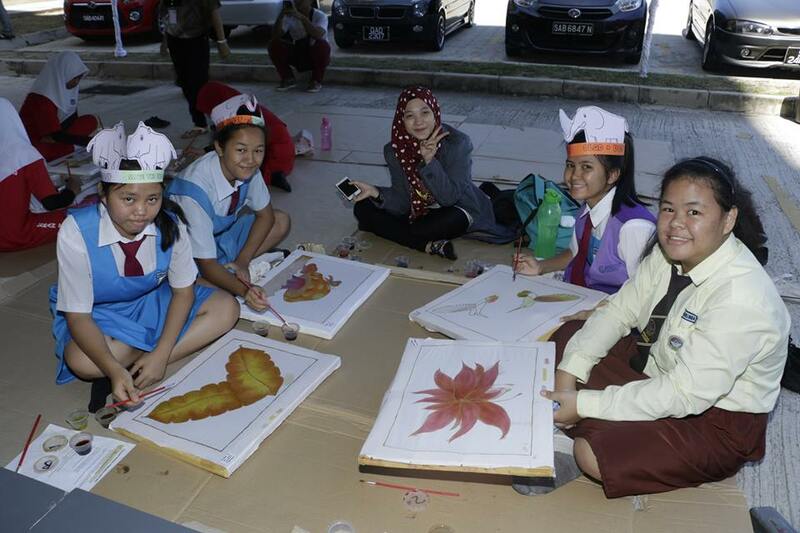 YSD teams up with University College Sabah Foundation to raise environmental awareness in schools and universities. After enduring several months of hardship, more than 300 families in Ranau, Kota Belud and Tuaran can now enjoy uninterrupted water supply. 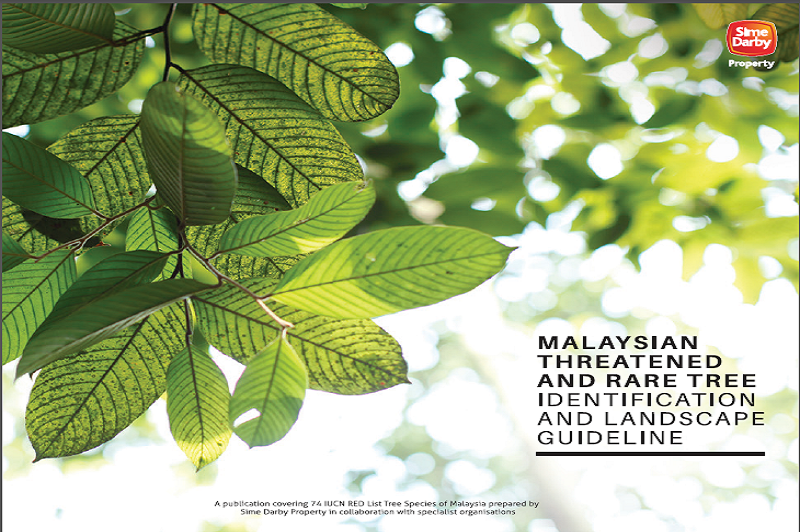 A joint effort by YSD and UKM to capacity build home-grown researchers and scientists. The Cancer Advocacy Society of Malaysia launches its 6th annual Colorectal Cancer Awareness, Screening and Treatment Project (CCASTP) on April 3rd, 2016. 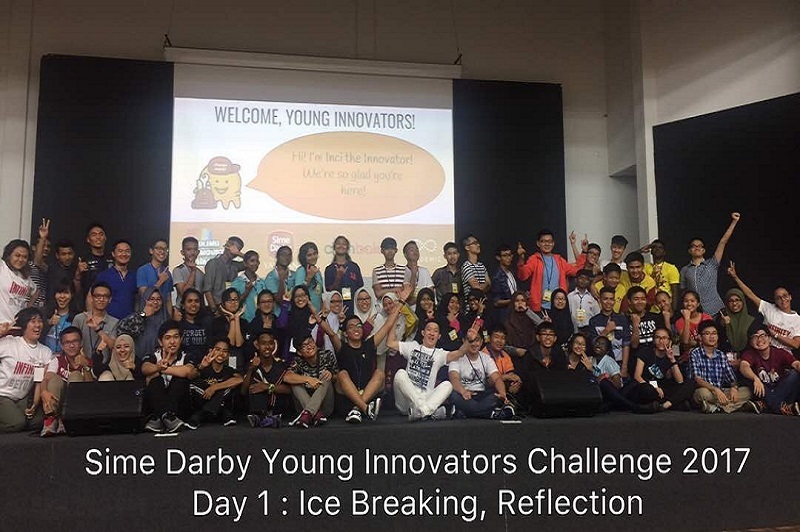 Sime Darby Berhad’s inaugural Young Innovators Challenge 2016 aims to cultivate the spirit of innovation, was kicked off with youths in Malaysia between the ages of 13 and 16, submitting their ideas to address the global issue of poverty. Sime Darby’s Young Innovators Challenge 2016 Enters Final Stage of Competition. 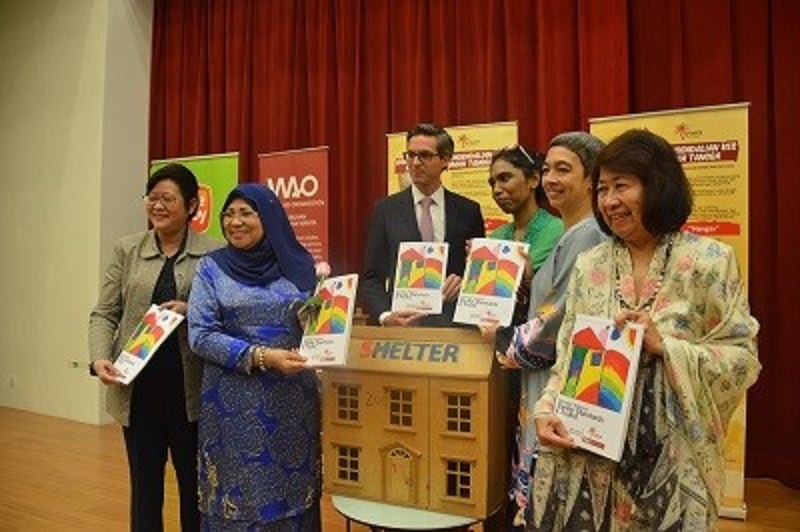 Women’s Aid Organisation (WAO) unveiled today the Domestic Violence Shelter Standards and Toolkit, in collaboration with the Ministry of Women, Family, and Community Development (KPWKM). “Pocket rocket man” Azizulhasni Awang and Fatehah Mustapa qualify for upcoming Rio Olympics 2016. 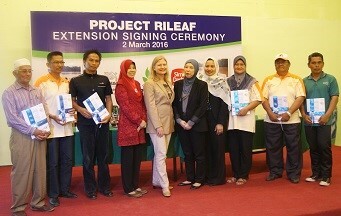 Yayasan Sime Darby extends collaborative agreement on project RiLeaf. YSD has agreed to extend its support for another two years until 2018 with an additional boost of RM2 million to facilitate the purchase of essential angioplasty armamentariums. Themed ‘Arts Education + The Future’, YSDAF2016 kicks off with activities leading up to the grand finale in August. 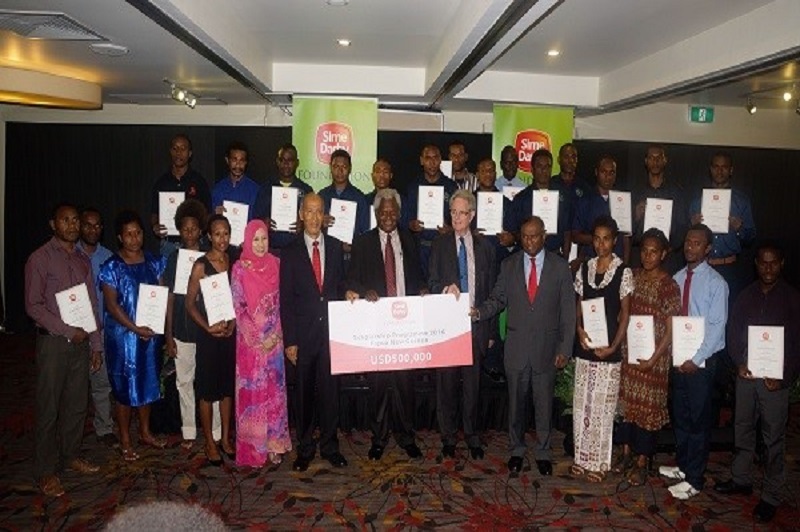 Sime Darby Foundation (SDF) commenced its inaugural scholarship awards in Papua New Guinea, offering young and deserving Papua New Guineans sponsorships to pursue their academic dreams in various disciplines. YSD under its Community & Health pillar came into partnership with YOKUK in support of its largest palliative care movement in the East Coast of Malaysia known as the “YSD-YOKUK Sayang Home Care Programme” for four years until May 2017 amounting to RM381,000. The inaugural UKM-YSD Sustainability Challenge 2015 was held on 18 November 2015 at Puri Pujangga UKM, Bangi with the objective to explore and develop innovative ideas on the sustainability of the palm oil industry among university students. 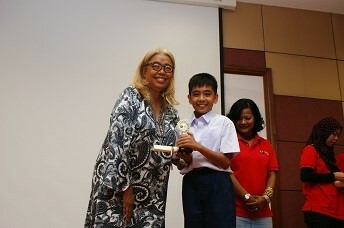 Yayasan Sime Darby celebrates World Children’s Day with Yayasan Chow Kit’s Homeschooling Awards Ceremony. The 10th Sime Darby Asia Pacific Merdeka Indoor Bowls Championships 2015 is set to rock the Bayuemas Indoor Bowls Complex in Klang. Yayasan Sime Darby (YSD) is commencing its international scholarship programme in Papua New Guinea (PNG), offering promising students the chance to pursue tertiary education locally and in Malaysia this year. 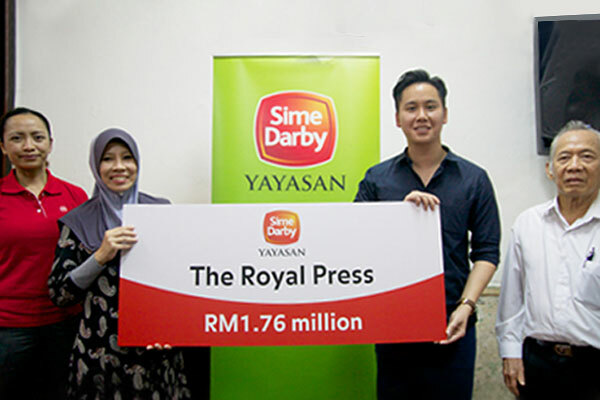 Yayasan Sime Darby (YSD), the philanthropic arm of Sime Darby Berhad, funded RM1 million for the publication of “Siri Buku Alam Upin & Ipin”, an educational environment book targeted for kindergarten and primary school children aged five to nine years old. 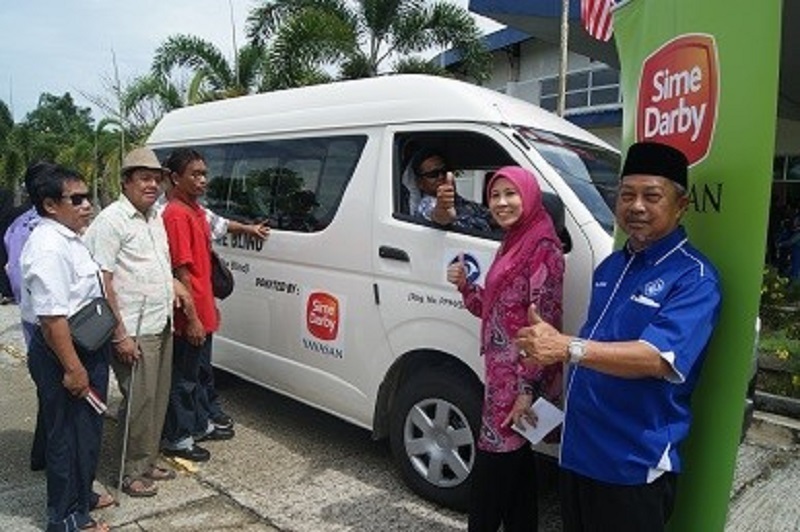 Yayasan Sime Darby donates brand new Toyota HiAce van for Taman Cahaya Training Centre in Sandakan. YSD is giving out RM9.5 million to 194 promising students from various backgrounds. 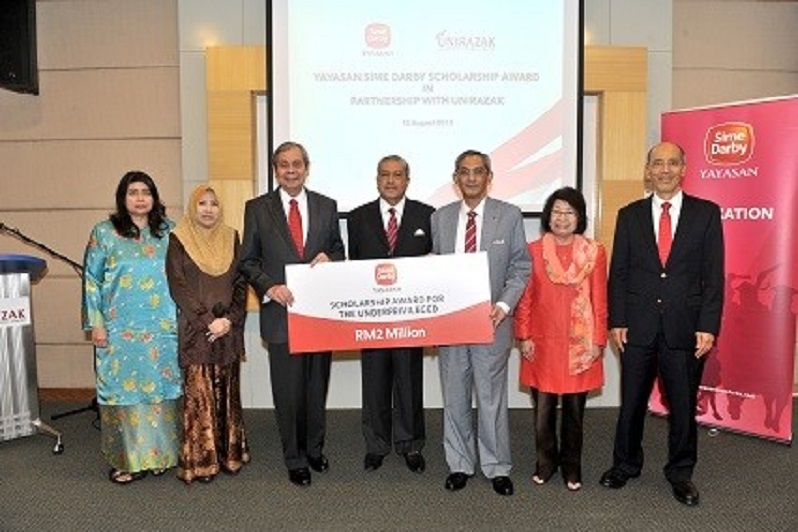 Universiti Tun Abdul Razak (UNIRAZAK) has received a tremendous boost from Yayasan Sime Darby (YSD), the philanthropic arm of Sime Darby Berhad, with RM2 million worth of scholarships for underprivileged students from the university. Yayasan Sime Darby (YSD) through its YSD-YOKUK Sayang Home Care programme is supporting the largest palliative care movement in the East Coast of Malaysia with a sponsorship of RM855,000 over four years until May 2017. 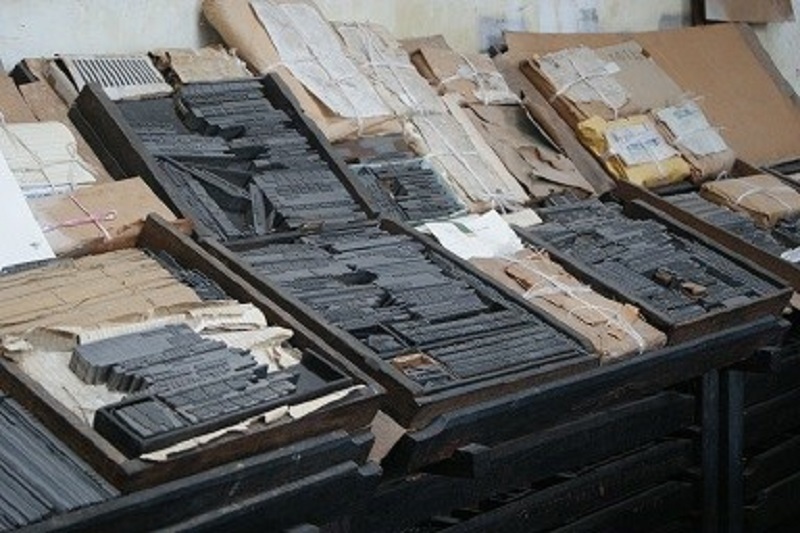 Critical funding totalling RM3.11 million will fully cover renovation works to preserve The Royal Press (TRP). 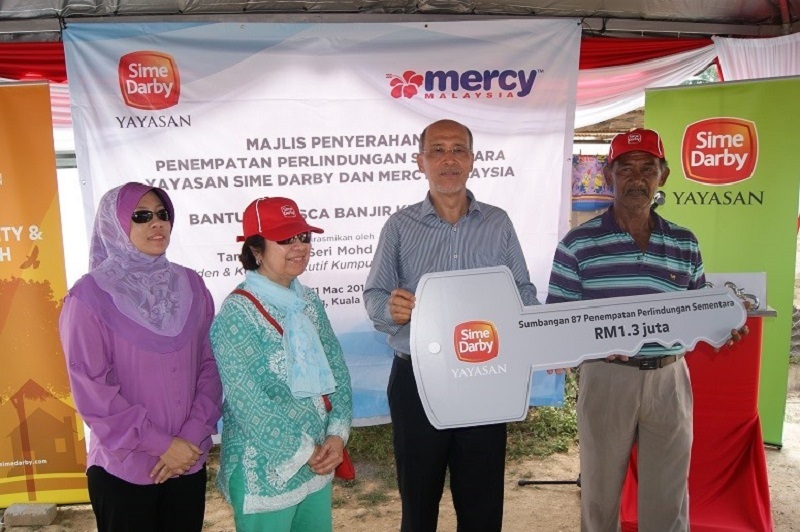 Yayasan Sime Darby (YSD), the philanthropic arm of Sime Darby Berhad channelled RM1.8 million for post-flood relief assistance in Kelantan in collaboration with its long-term partner MERCY Malaysia. KLGCC aims to produce well-rounded and successful individuals. Yayasan Sime Darby Arts Festival 2016 is back with the theme: Arts Education + Future. Yayasan Sime Darby funds RM1.4 million for new world class cricket facility. 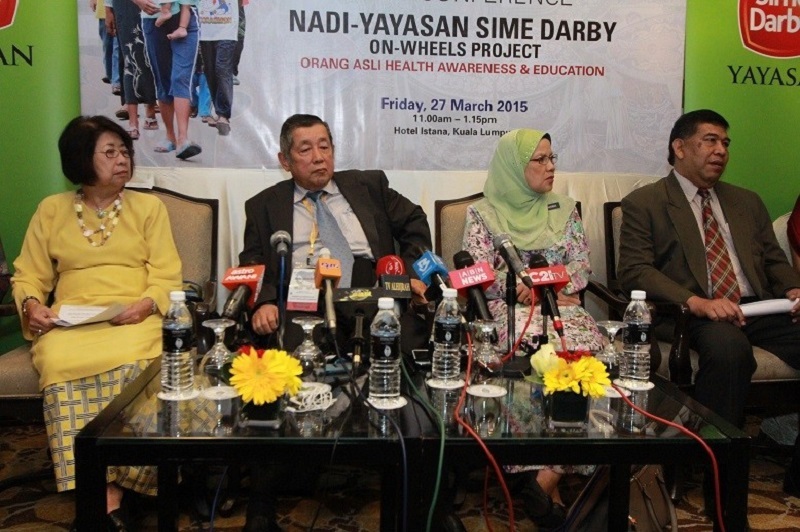 Yayasan Sime Darby (YSD) in 2010 pledged RM1.34 million for the four-year YSD-NADI On-Wheels programme which was a joint collaboration with NADI, Jabatan Kemajuan Orang Asli (JAKOA) and the Ministry of Health. Sharing the same passion as OrphanCARE and believing in the impact of their crusade, Yayasan Sime Darby (YSD), a strong advocate for the marginalised community has committed an RM1.05 million allocation for OrphanCARE for a three year duration starting November last year. 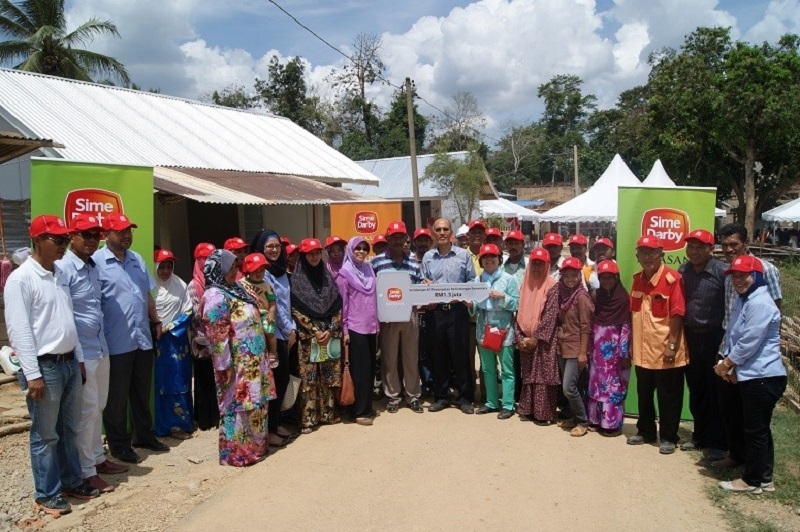 Yayasan Sime Darby funds RM1.3 million for the construction of temporary shelters in Kampung Tualang, Kampung Bekok and Kampung Jalan Gael. 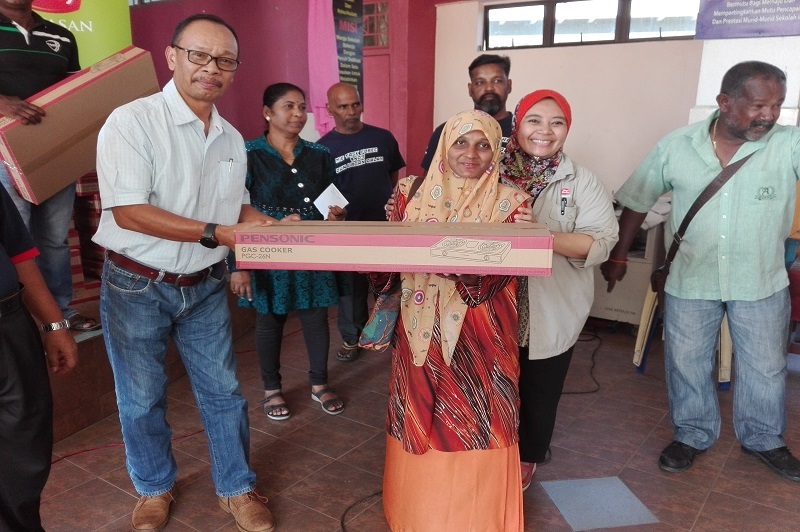 Yayasan Sime Darby (YSD) contributed RM700,000 to the Medical Relief Society (MERCY) Malaysia’s Humanitarian Relief Fund for its emergency flood relief efforts which included RM50,000 for the ‘Back to School Assistance’ programme for affected school children in Kuala Krai. YSD has pledged RM860,000 over the past five years, to support disadvantaged Epileptic patients through its “YSD Epilepsy Surgery Programme Fund”. Yayasan Sime Darby (YSD), the philanthropic arm of Sime Darby Berhad has channelled more than RM1.2 million in funds to assist flood victims in the worst-hit states of Kelantan, Pahang and Terengganu. YSD has stepped in with a contribution of RM1.8 million to help the centre carry out its vocational courses. Yayasan Sime Darby (YSD) is partnering with Diabetes Malaysia to provide RM730,000 for the Children’s Fund. The YSD - YOKUK Sayang Home Care initiative which consists of four mobile palliative care units amounts to a sponsorship of RM855,000 for a period of three years from June 2014 to May 2017 by YSD. 36 students received scholarships worth RM8 million to pursue their pre-university and undergraduate studies at top universities globally. The Sime Darby Foundation – Koo Racing team aims for gold at the Asian Games. Advocating sustainable palm oil management and production. Festival will culminate with two-day event in September. 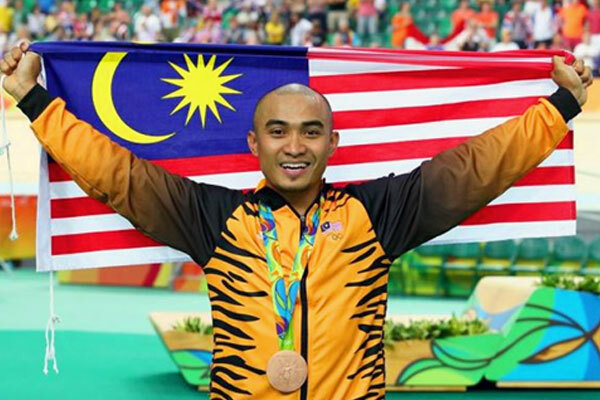 Azizulhasni and Fatehah aim for gold medals in the Asian Games 2014. Funding over five years towards educational development and research. YSD funding over two years will facilitate preparations for the 2016 Rio Olympics. All-out effort by conservationists to prevent the world’s most endangered rhino species from going extinct. To help autistic children from "bottom 40 percent" families get professional support, Yayasan Sime Darby (YSD) through its Community & Health pillar has pledged RM 1,105,200 to the IAC to help with the expansion of the centre in terms of operations and student intake. 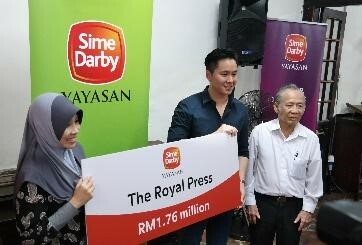 Yayasan Sime Darby has pledged RM1.76 million to help create the country’s first living printing press museum - The Royal Press in the historic enclave within the city of Malacca. 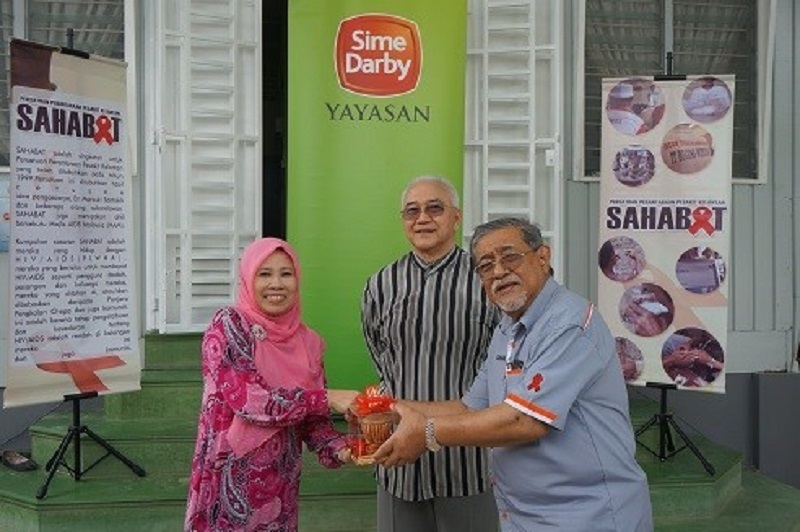 Yayasan Sime Darby (YSD) handing over the organisation’s first ever permanent premises during a ceremony. The premises, located on the fourth floor of Menara KLH Puchong, houses the MFD’s headquarters and administration office, sign language interpreter online services centre as well as fully-equipped training rooms and classes for leadership programmes, sign language courses for the public and the Independent Living Skills Programme (ILSP). 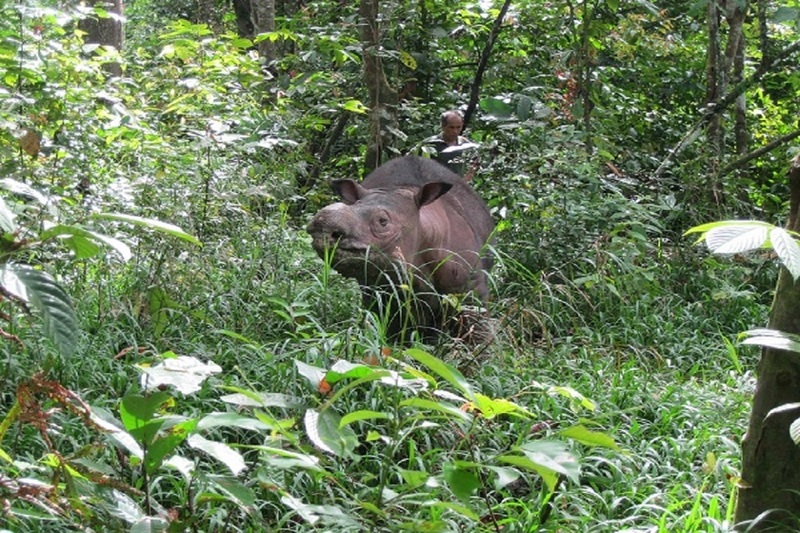 A rare Sumatran rhino was successfully translocated late afternoon on Friday 21 from a very remote area in Danum Valley, to join a male (Tam) and a female (Puntung) rhinos at the Borneo Rhino Sanctuary (BRS) Facilities in Tabin Wildlife Reserve. YSD contributes RM3 million to the ‘Tabung Mengubah Destini Anak Bangsa’ (MDAB) Programme. YSD Chief Executive Officer Puan Hajjah Yatela Zainal Abidin shared how the festive assistance was an integral part of the Sinar Harapan programme so that those less fortunate would not be left out during the celebrations. Sinar Harapan is YSD's first major programme to assist underprivileged communities with various critical needs. The programme falls under YSD's Community Development pillar to promote the well-being of disadvantaged people, irrespective of race, culture, religion, creed and gender. 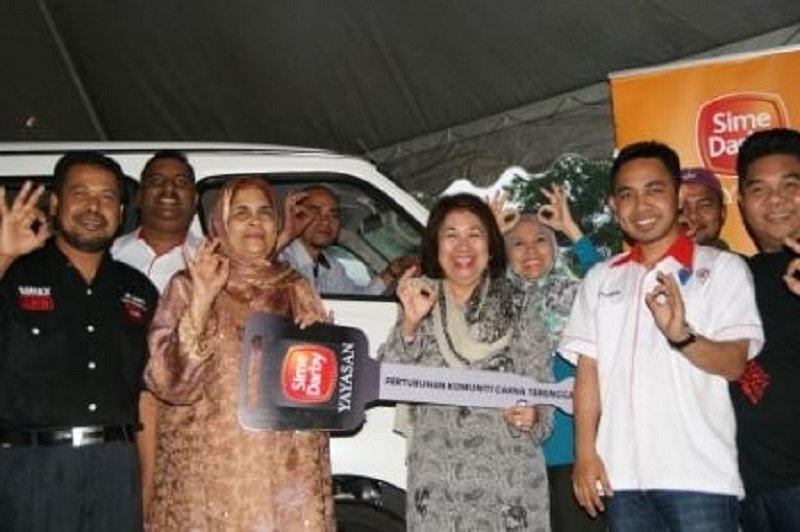 Yayasan Sime Darby (YSD) in collaboration with the Malaysian AIDS Council (MAC) extended its reach to a disadvantaged community in Kuala Terengganu, Pertubuhan Komuniti Cakna Terengganu (CAKNA), with the donation of a 14-seater van in conjunction with the World AIDS Day celebrations. YSD’s sponsorship of RM135,000 over seven months will cover educational and promotional materials, logistics, workshop costs, project management costs, screening kits and treatment fees. Yayasan Sime Darby (YSD) with Yayasan Chow Kit (YCK) jointly launched a counselling room for youths at KL Krash Pad. A total of 500 adolescents and young people under the age of 21 are registered with KL Krash Pad, 50 of whom are daily users and visitors to the centre. Yayasan Sime Darby (YSD), in partnership with Ramsay Sime Darby Health Care (RSDHC), is offering subsidised surgery for patients who fit into the category but are unable to afford the cost of the epilepsy surgery. 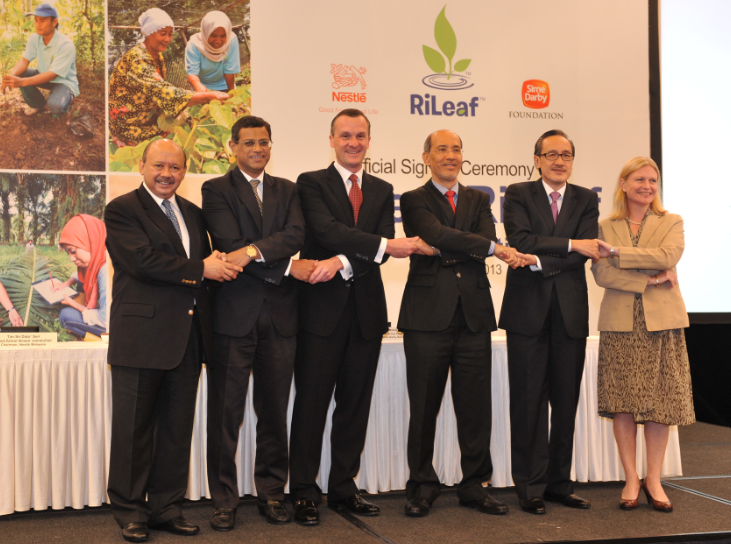 Nestlé (Malaysia) Berhad – signed a collaborative agreement with the Sime Darby Foundation to jointly undertake Project RiLeaf, as part of a commitment by both organisations to preserve and sustain the environment and ecosystems. For the second year running, Yayasan Sime Darby (YSD) awarded scholarships to 32 Liberians to pursue tertiary education in Malaysia and Liberia with an allocation of USD500,000 this year. 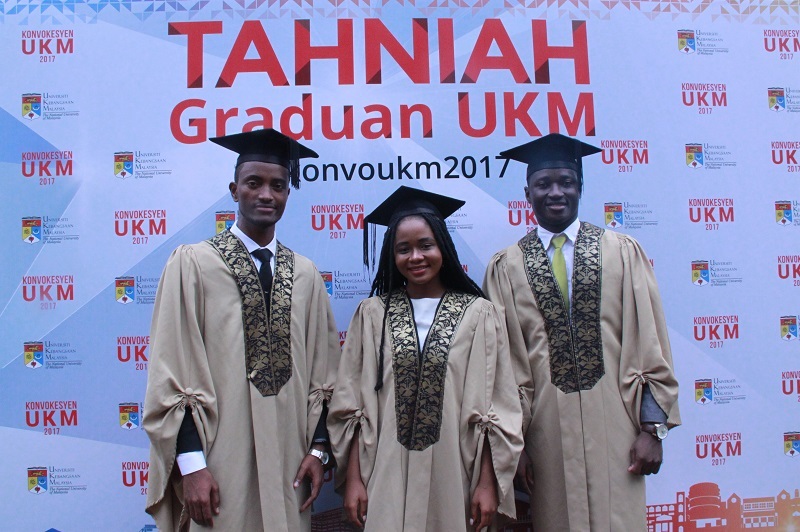 An entire semester has come and gone for Sime Darby Foundation’s first batch of Liberian scholars in Malaysia, Shari L.O Raji, 17, and Johnson Emmanuel Sieh, 25, since they started their engineering studies in February at the National University of Malaysia in Bangi, Selangor. Unsustainable economic development exacerbated by forest clearance continues to be a growing threat to the biodiversity that exists at Belum-Temengor. 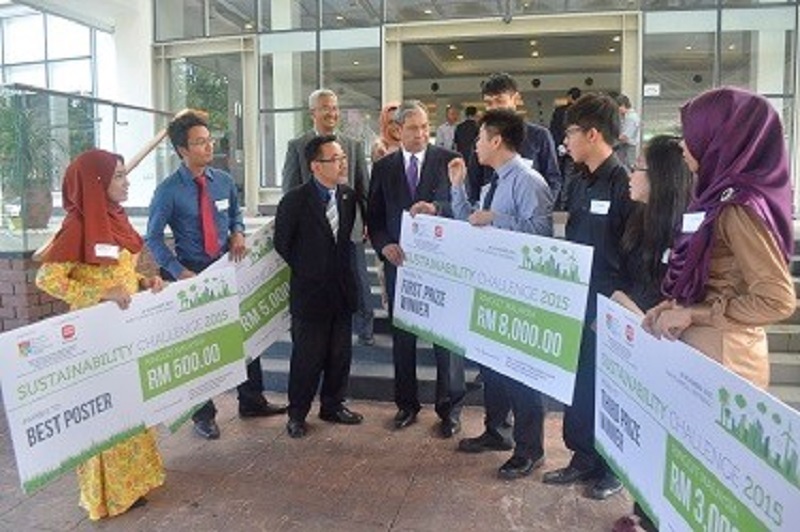 Another 229 students received bursaries worth RM5.14 million under the YSD Bursary Programme, which assists students from low-income families to pursue tertiary education in any field of study at local public and private universities, including Sime Darby Nursing and Health Sciences College. Yayasan Sime Darby is proud to announce an RM540,000 commitment as the Sports Partner of the Kuala Lumpur Cricket Association (KLCA) over three years from 2013 to 2015. YSD recently presented festive assistance to 24 welfare homes and organisations, in conjunction with the Holy month of Ramadhan. Some of these homes are unregistered with the Welfare department and do not receive much assistance due to their status. Yayasan Sime Darby congratulates its sponsored golfer Ainil Johani Abu Bakar for her maiden victory since turning professional three years ago, at the 2013 KENDA Tire TLPGA Open in Taiwan. 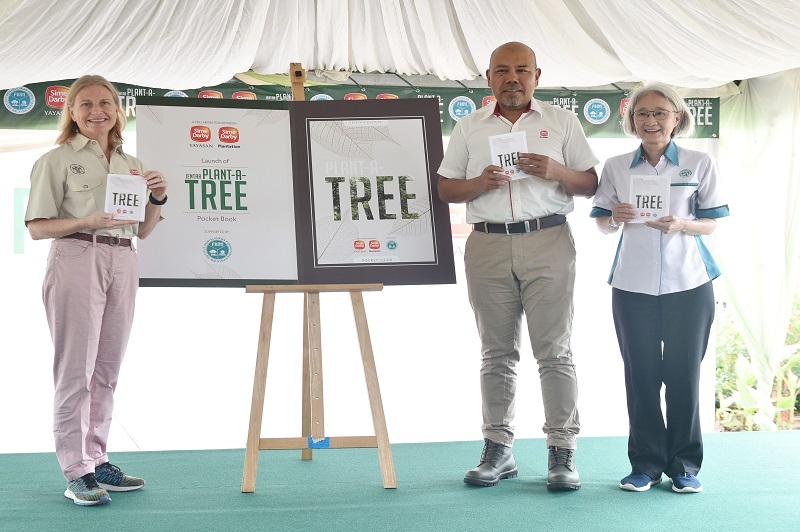 Yayasan Sime Darby (YSD) is stepping in to provide financial assistance to the home which would enable the home to provide the best care possible for its residents. These three Malaysian women have one thing in common with Angelina Jolie – they have inherited an altered version of the BRCA1 gene which puts them at 50-87% risk of developing breast cancer and a 20-50% risk of ovarian cancer. YSD is collaborating with UMMC in establishing a fund named “Tabung YSD for Underprivileged Coronary Patients”, which will be able to assist between 200 and 286 underprivileged coronary patients over a period of two years from May 2013. Yayasan Sime Darby (YSD) is proud to announce a collaboration with the Malaysian AIDS Council (MAC) to create awareness and push for advocacy on policies and matters pertaining to people living with HIV (PLHIV) with an RM870,000 sponsorship over a three-year period. Yayasan Sime Darby (YSD) will provide scholarships worth RM1.12 million for 10 Chinese citizens to pursue their degree programmes at Malaysian universities. 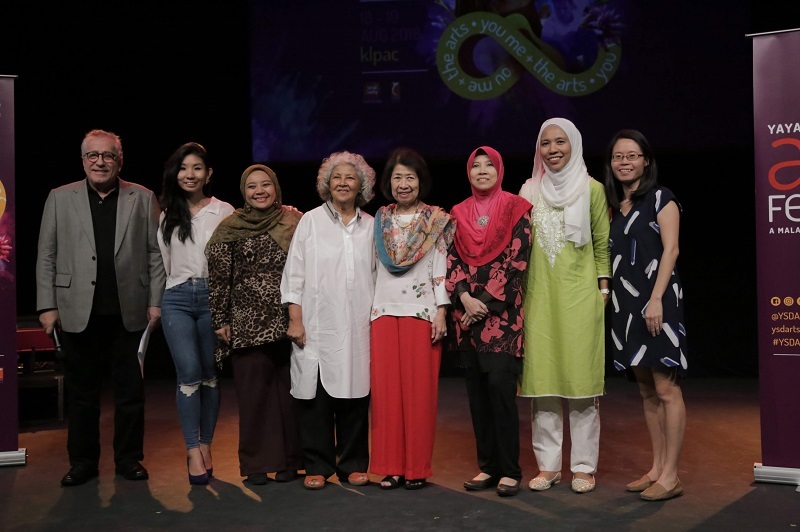 The performing arts scene in the country has been given a tremendous boost with Yayasan Sime Darby’s RM3 million funding for The Kuala Lumpur Performing Arts Centre (klpac). The Kota Kinabalu Jazz Festival (KKJF) returns bigger, better and bolder. Yayasan Sime Darby (YSD) is proud to be part of this initiative and its sponsorship of RM1.06 million for over three years will enable the society to purchase an additional 10 embosser machines. 100 participants converge in Singapore for an emergency summit to seek the means to save the Sumatran Rhinos. 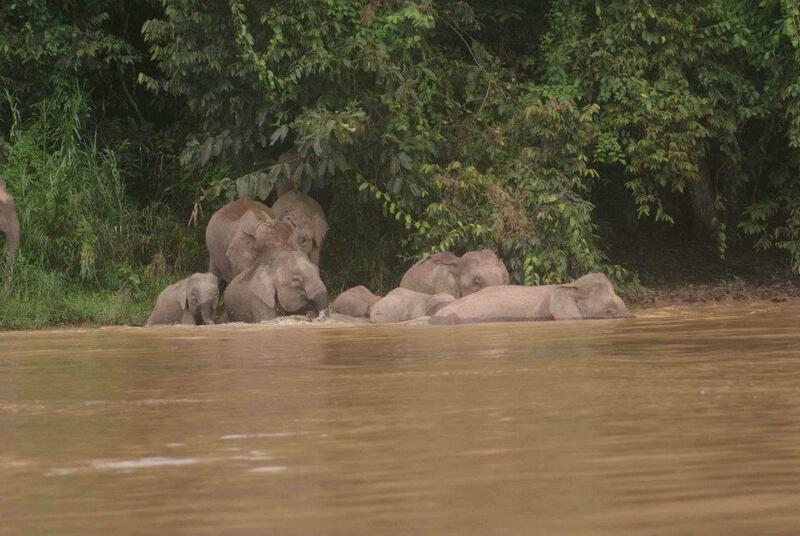 Malaysian elephants have declined in numbers due to drastic habitat loss and conflicts with farmers in recent decades. 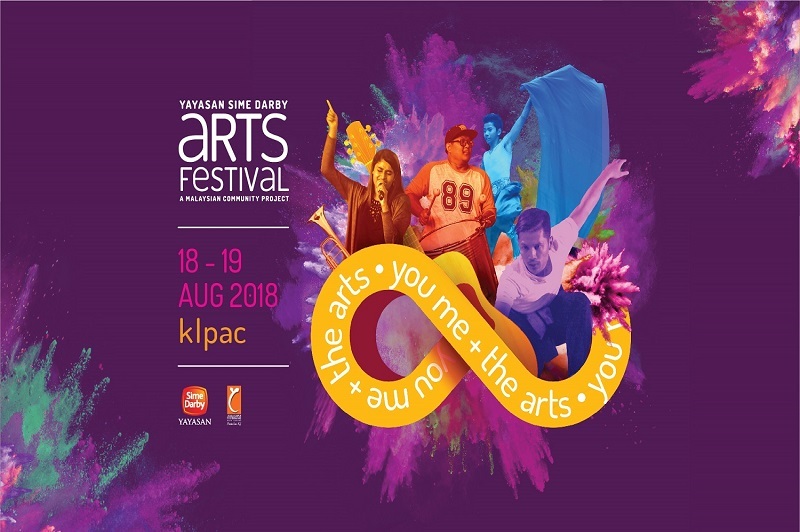 Though a newcomer as a sponsor in the arts and culture scene, Yayasan Sime Darby's efforts to sponsor up and coming Malaysian artistes and their productions has paid off. YSD's Scholars’ Development Programme (SDP) is a capacity-building engagement programme for scholars to boost their confidence and help prepare for challenges in their careers as future leaders within Sime Darby. 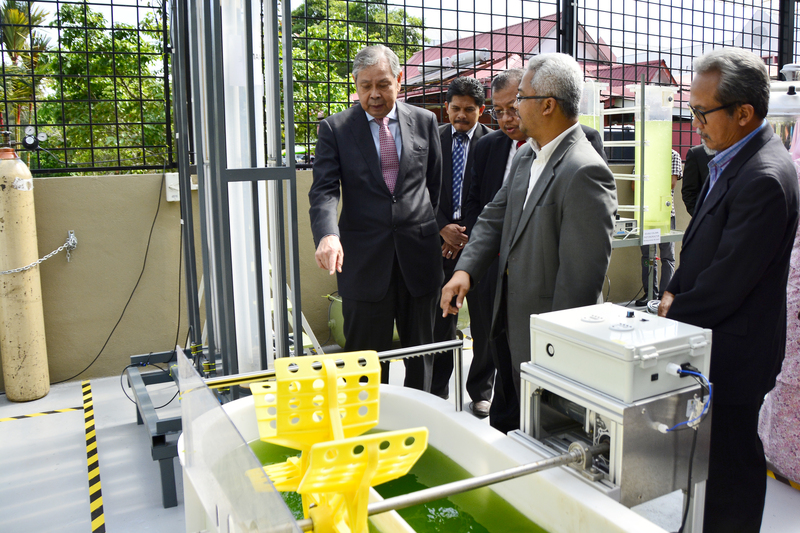 Universiti Kebangsaan Malaysia (UKM), with support from Yayasan Sime Darby (YSD), has established a carbon capture laboratory which is currently researching the use of microalgae to treat palm oil mill effluent (POME). 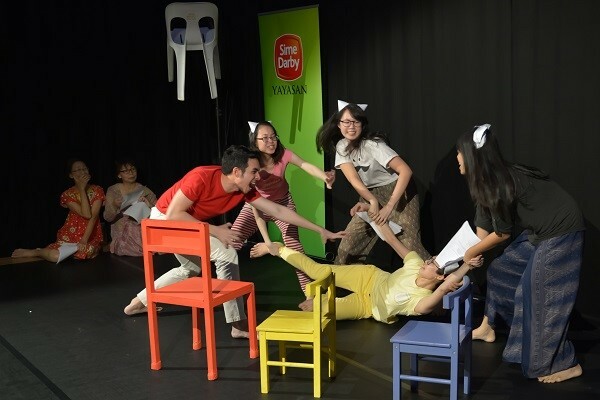 Yayasan Sime Darby (YSD) has committed RM50,000 for the production of the performance in support of the performing arts. 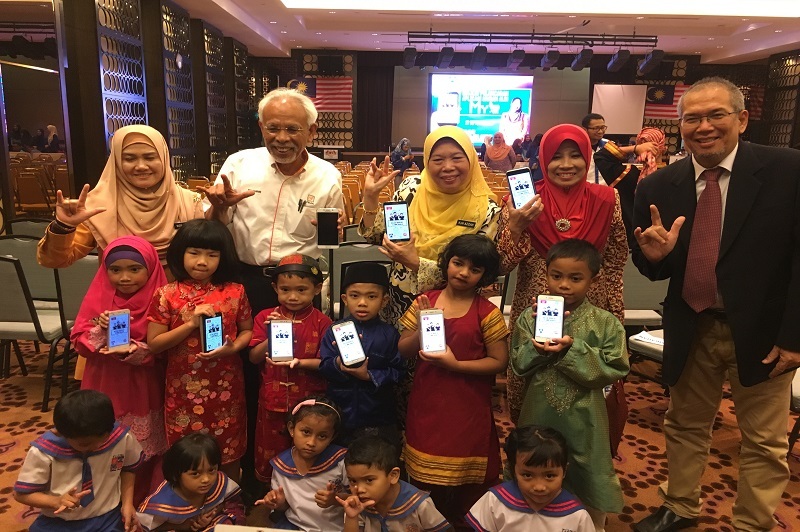 Understanding that there will be financial challenges for the three children of the late Sime Darby GSC-IT employee Norhana Mohd Nordin, Yayasan Sime Darby (YSD) has come in to offer them a lifeline by providing them with educational assistance. With the number of Sumatran Rhinoceros (Dicerorhinus sumatrensis) estimated to be less than 200 and declining rapidly, urgent action is needed to save this species from extinction. Sime Darby Foundation track cyclist, Fatehah Mustapa did Malaysia proud today by bringing in the gold in the Women's Elite Sprint Final. YSD will continue to focus its attention on assisting those from low income families via its allocation of more than 70 per cent of the planned number of scholarships, to the underprivileged. 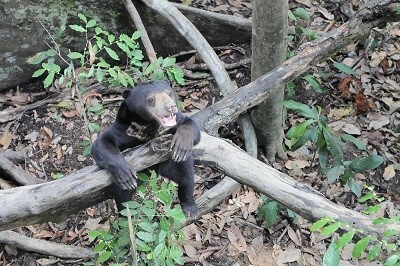 Sun bears (Helarctos malayanus) are the smallest and least known members of the bear family and their population is rapidly diminishing in South-East Asia. The national dream of bringing home an Olympic medal for track cycling has been re-ignited with Yayasan Sime Darby (YSD) committing RM2.85 million to sponsor Malaysia’s two top track cyclists, Mohd Azizulhasni Awang and Fatehah Mustapa in their pursuit to compete at the 2016 Rio Olympics. Yayasan Sime Darby (YSD) recently visited several welfare homes in the Klang Valley to bring festive cheer in conjunction with the Chinese New Year and usher in the auspicious Year of the Snake with the residents. Yayasan Sime Darby (YSD) recently presented festive assistance to four welfare homes and a school for refugee children in the Klang Valley. Globally, there are only 11 live Sumatran rhinos in managed breeding facilities namely in Way Kambas, Borneo Rhino Sanctuary (BRS) in Sabah and Cincinnati Zoo in USA, while the numbers in the wild are believed to be dwindling in a continuing trend, with less than 150 rhinos currently in existence. 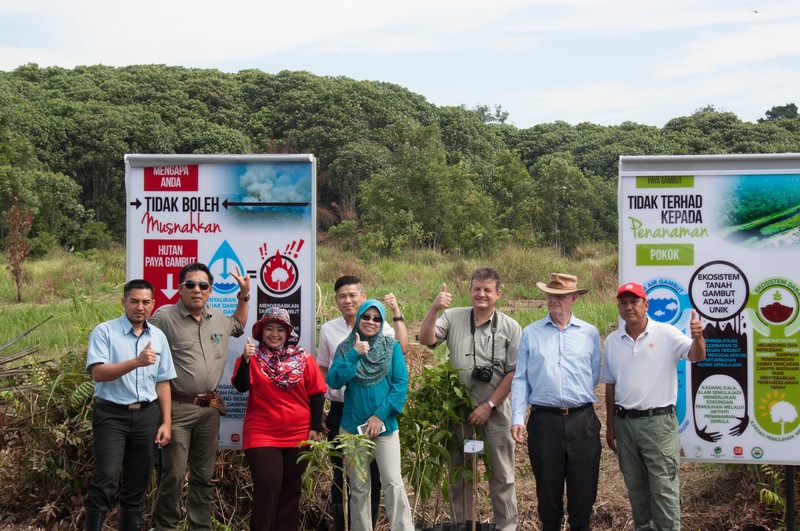 Yayasan Sime Darby reaches an important milestone in its illustrious history. YSD, through its Indonesian subsidiary PT. Minamas Gemilang (Minamas), today awarded scholarships worth IDR5.79 billion (RM1.85 million) to 72 deserving students. Sime Darby Berhad, through its Indonesian subsidiary PT. Minamas Gemilang (Minamas), today awarded scholarships worth IDR5.79 billion (RM1.85 million) to 72 deserving students. 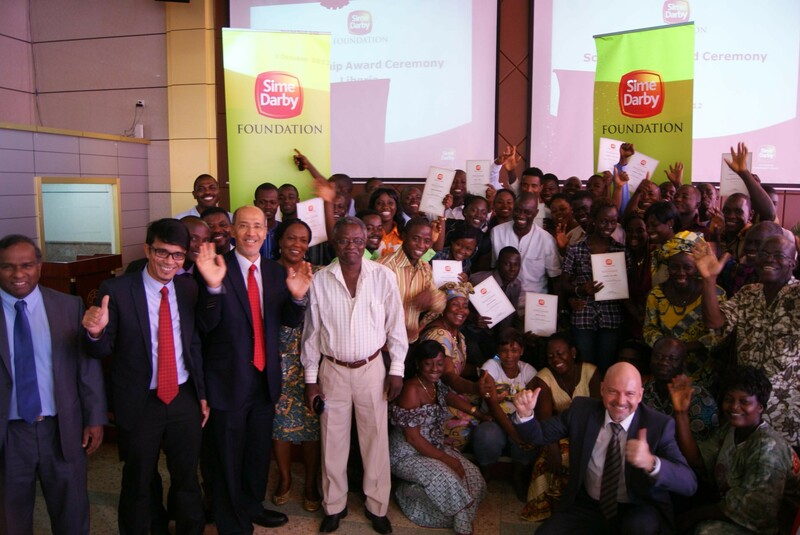 Sime Darby Foundation (SDF) awarded excellence scholarships and bursaries to bright and young Liberians to pursue their tertiary education in Liberia and Malaysia this year. YSD awards excellence scholarships and bursaries to bright and young Liberians to pursue their tertiary education in Liberia and Malaysia this year. Yayasan Sime Darby (YSD), which dedicates itself to promote the human quest for learning and knowledge, is sponsoring RM100,000 to support Professor Emeritus Tan Sri Datuk Dr Khoo Kay Kim's latest translation and publication effort of his collection of essays - "Esei-esei Lengkap Sejarah Malaysia". A musical performance on Yao Lee, one of the most memorable, legendary and sensational Chinese superstars of a turbulent and bygone era has been made possible with a RM100,000 sponsorship by Yayasan Sime Darby. 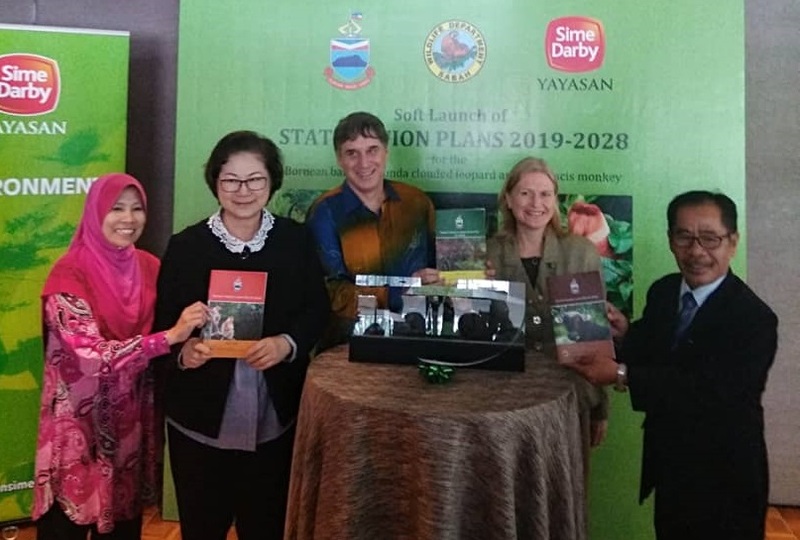 Yayasan Sime Darby (YSD) is commencing its international scholarship programme in Liberia with scholarships worth USD$420,000 being offered to Liberians to pursue tertiary education in Liberia and Malaysia this year. Yayasan Sime Darby (YSD) created history today when it became the first Malaysian organisation to partner China’s prestigious scholarship institution, the China Scholarship Council (CSC), to award scholarships to outstanding and deserving Malaysians and China citizens. 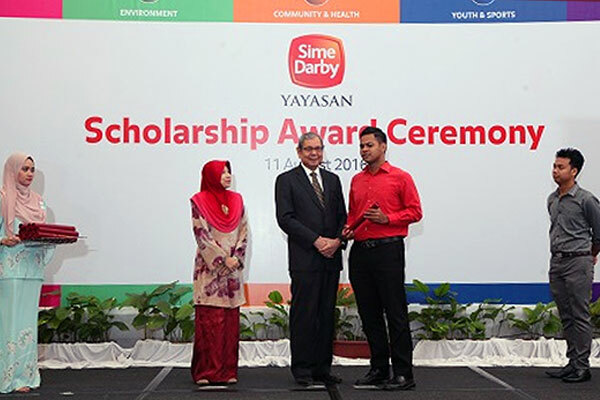 Yayasan Sime Darby (YSD) is offering 380 scholarships and bursaries worth RM22.6 million this year to deserving Malaysians and other nationals from countries where Sime Darby operates. Malaysia’s top female national track cyclist, Fatehah Mustapa, became the third recipient of the Yayasan Sime Darby “Star” Scholarship award. Yayasan Sime Darby collaborates with the Akademi Seni Budaya & Warisan Kebangsaan (ASWARA) to help preserve Malaysia’s traditional dance heritage via a national dance tour. YSD’s contribution of RM3 million for a period of three (3) years is made towards the Program Mengubah Destini Anak Bangsa (MDAB), a fund set up by UiTM to benefit underprivileged urban and rural students with opportunities to further studies at pre-diploma level. Puntung, who is estimated to be between 10 to 12 years old is seen as the last chance of breeding the almost extinct Borneo Sumatran Rhinoceros. Yayasan Sime Darby (YSD) today donated a brand new Hyundai Starex to the Persatuan Kanak-kanak Istimewa, Hulu Langat (PKKI) which will be used to transport children with varying disabilities from their homes to the centre. YSD will fund education, empowerment, counseling and life skills programmes that will be carried out by YCK over a period of three (3) years, amounting to RM900,000. Cycling For A Cure, a charity event to raise funds for eligible leukemia patients, succeeded in raising over RM125,000 today. Yayasan Sime Darby (YSD), as part of its corporate social responsibility initiatives, has contributed RM15 million to the endowment fund for the newly set-up UKM-YSD Chair for Sustainable Development – Zero Waste Technology for the Palm Oil Industry. Yayasan Sime Darby (YSD) today awarded RM13.86 million worth of scholarships to 92 individuals to pursue higher education in various local and overseas universities as well as undergo various vocational courses. 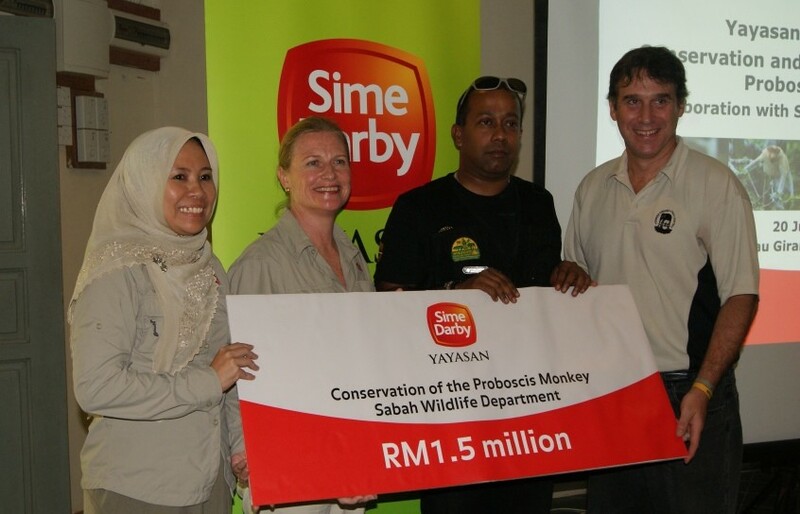 The foundation has extended a donation of RM1.5 million to the Sabah Wildlife Department (SWD) to conserve and manage the estimated 2,500 - 3,000 proboscis monkeys living in the area. Yayasan Sime Darby confirmed support for the 8th JB Arts Festival 2011 with a contribution of RM75,000. 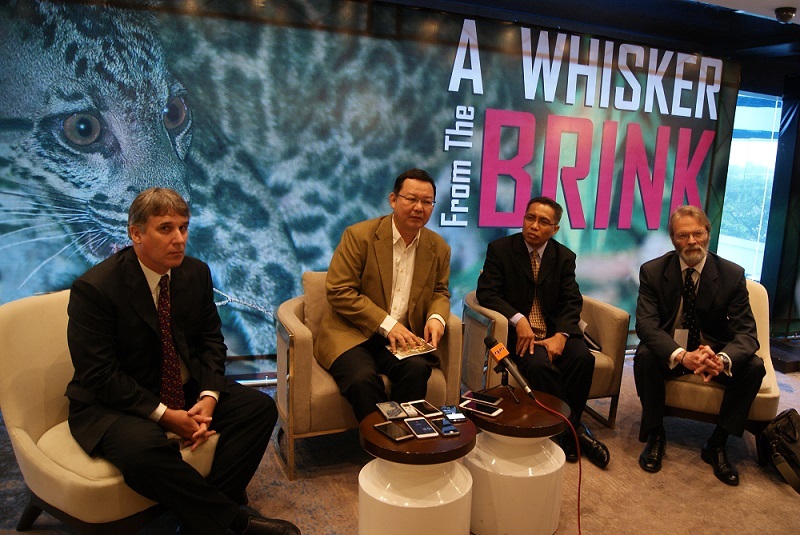 The sponsorship will include an invitation to the 2011 Sime Darby LPGA Malaysia. Yayasan Sime Darby (YSD) today contributed RM1.2 million to Hospital Lam Wah Ee, Penang to purchase four units of sterilizing machines and an automatic washer to sterilise operating room instruments. After providing RM360,000 last year to the Women’s Aid Organisation (WAO)’s Refuge For Battered Women and Their Children, Yayasan Sime Darby (YSD) is extending its financial support for another two years. Yayasan Sime Darby today awarded scholarships to 8 senior Malaysian government officials under its YSD-Cambridge Public Policy Scholarship. The scholarships, worth RM568,000, will enable them to pursue a 10-week public policy research programme at the University of Cambridge‘s Institute of Continuing Education. Yayasan Sime Darby (YSD) contributed RM70,000 to Persatuan Braille Malaysia to produce 1,000 Braille books for the blind children in Malaysia. These books will be distributed free to visually-impaired children via their schools throughout Malaysia. Yayasan Sime Darby today awarded Malaysia’s track cycling champion, Mohd Azizulhasni Awang, with the YSD Outstanding Achiever award in appreciation of his sportsmanship and hard work. 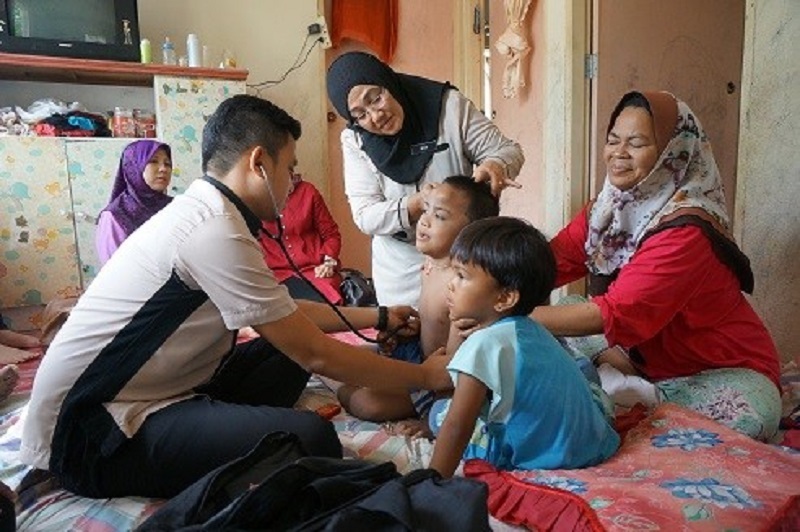 The rising cases of diabetes among Malaysians, especially rural and Orang Asli communities, have prompted Yayasan Sime Darby (YSD) to commit RM1.34 million to the National Diabetes Institute (NADI) to conduct an education and awareness programme on the ailment. 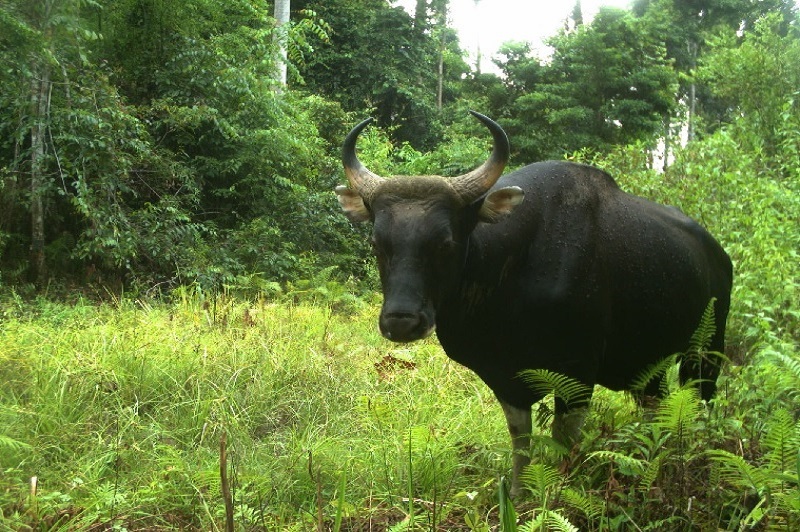 The 10-year project, called Stability of Altered Forest Ecosystems (SAFE), is aimed at understanding the impacts of forest modification (conversion of forests into oil palm plantations) on the biodiversity, ecosystem functioning and provision of ecosystem services. 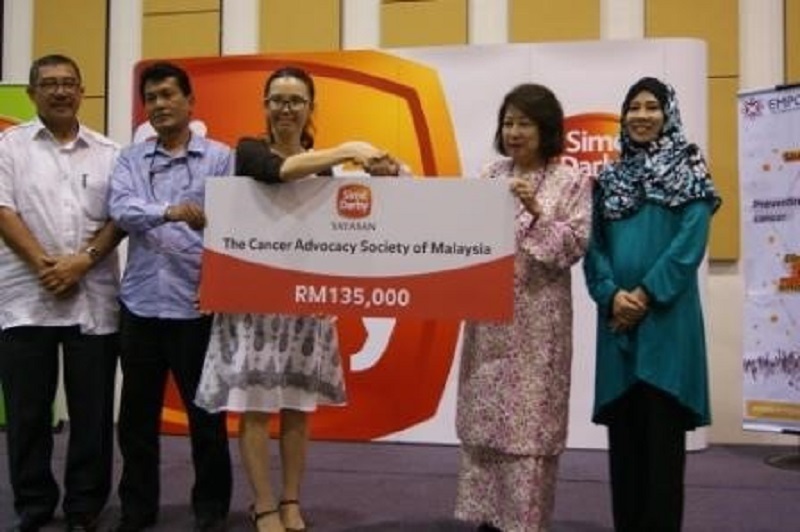 Breast cancer awareness and research efforts in Malaysia received a positive boost today thanks to a RM435,993.00 contribution from Yayasan Sime Darby to the Cancer Research Initiatives Foundation (CARIF). 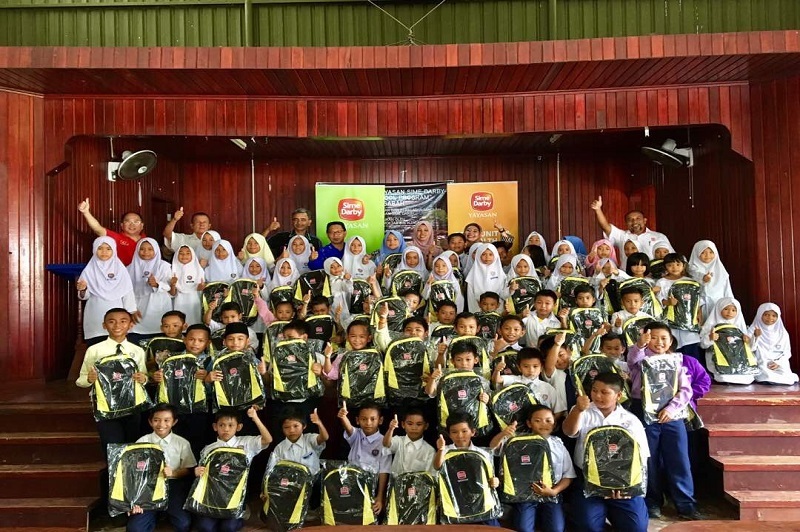 Yayasan Sime Darby (YSD), in its quest to promote educational excellence in the country, has launched an Educational Development Programme for two underprivileged schools located at FELCRA estates in Kampong Gajah in Seberang Perak, Perak. 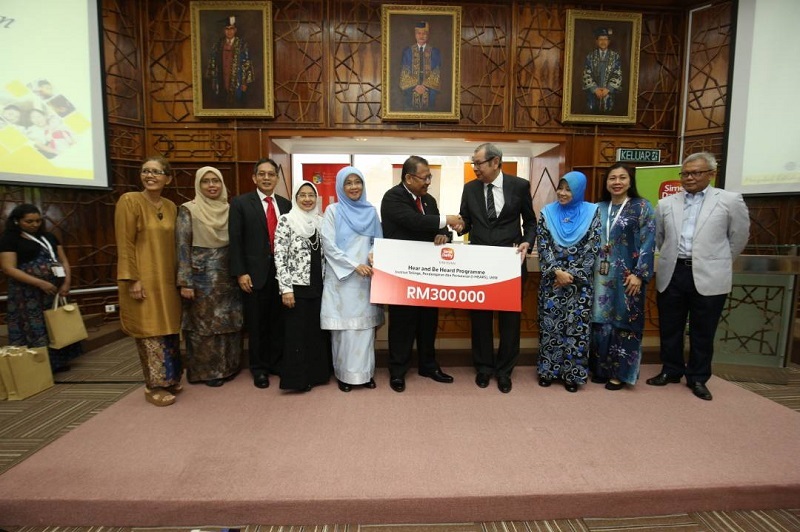 Yayasan Sime Darby awarded scholarships and bursaries worth RM26.9 million to 89 deserving recipients to pursue their studies at local and foreign universities. 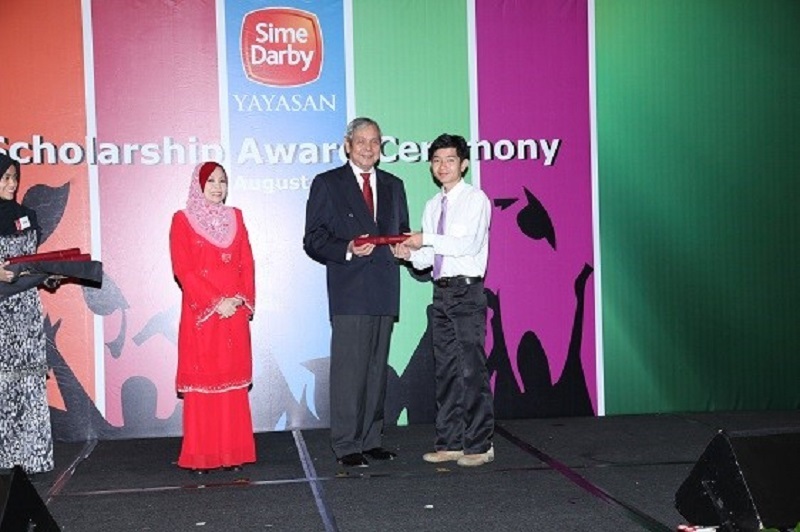 Mohd Azizulhasni Awang becomes Yayasan Sime Darby's "Star" scholar. YSD signed a Memorandum of Agreement with University Kebangsaan Malaysia (UKM) to establish a Chair for Climate Change. YSD pledged RM5 million as an endowment fund for the UKM-YSD Climate Change Chair for an initial period of three years with a mock cheque presentation at UKM. Battered women and their children can seek solace at a refuge centre run by Women’s Aid Organisation (WAO), thanks to a RM360,000 pledge by Yayasan Sime Darby (YSD) to help fund the running of the refuge centre. 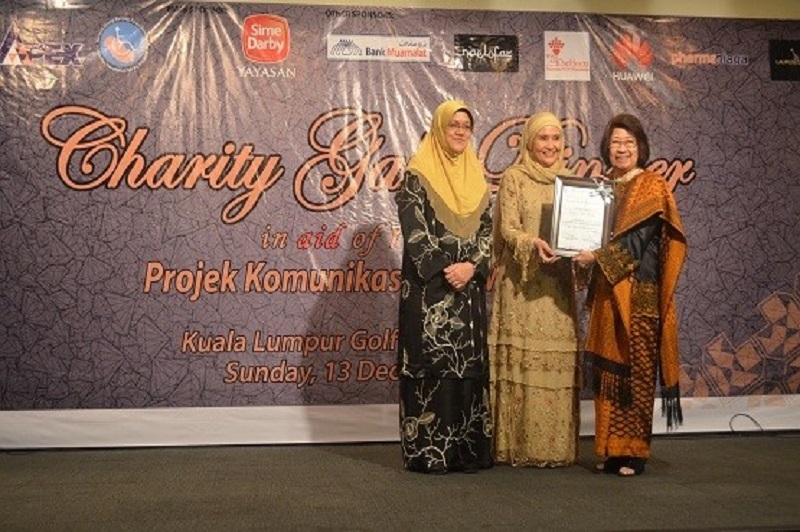 In line with its Community Development pillar to promote the well-being of the community, particularly the less privileged ones irrespective of race, culture, religion, creed or gender, Yayasan Sime Darby (YSD) today pledged RM80,008 to support the Cancer Awareness Programme organised by Cancerlink Foundation. 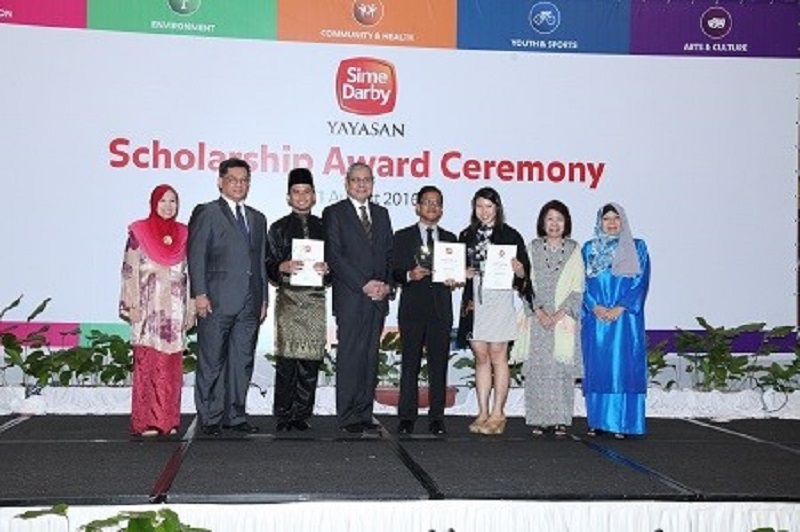 Yayasan Sime Darby (YSD) awarded scholarships and bursaries worth RM7.8 million to 63 students to pursue pre-university, undergraduate and post-graduate studies locally as well as overseas. Winning a medal at the Olympics has long been the dream of the country and her sportsmen and sportswomen. Kelly Tan Guat Chen, Malaysia’s top lady amateur golf player, today became the second individual after Malaysian cycling sensation, Mohd Azizulhasni Awang, to receive the Yayasan Sime Darby “Star” Scholarship award worth RM169,000. Sime Darby Group launches its corporate social responsibility arm, Yayasan Sime Darby.